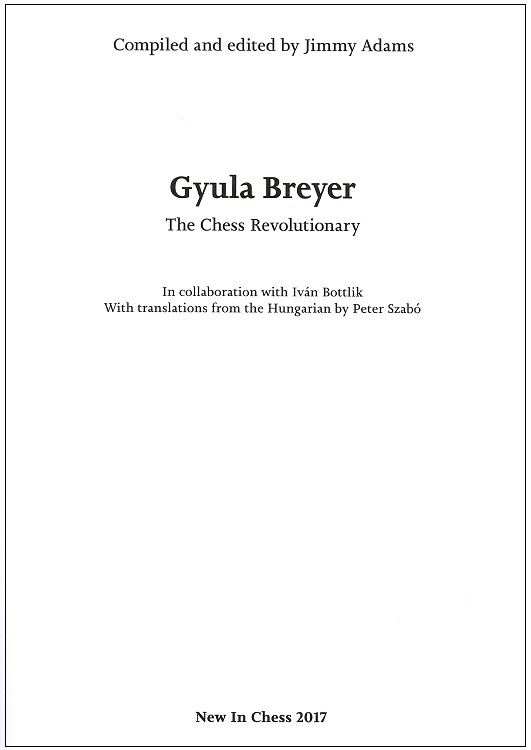 Here are more comments to add to those I gave last time on Edward Winter’s critique of my new book Gyula Breyer: The Chess Revolutionary. Pages 384-385 quote extracts from three Times columns by Harry Golombek (1975, 1977 and 1978), but only the years are specified. Full citations (exact dates and page numbers) were given in C.N. 5215, and the Breyer book thus takes a retrograde step by denying the reader complete information. 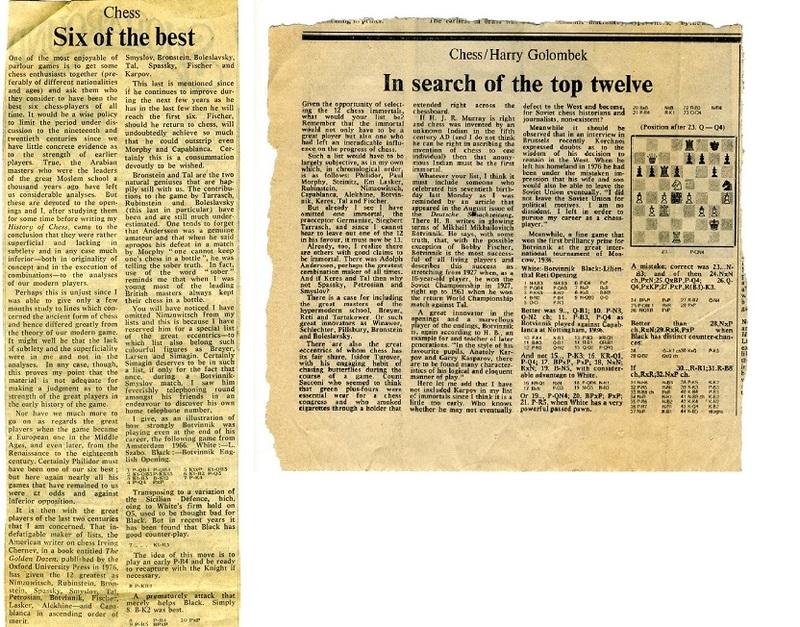 I first got to know Harry Golombek in 1975, while I was producing the daily bulletin for the ‘London Chess Fortnight’, sponsored by the Evening Standard and where Tony Miles gained his first grandmaster norm. As the play of each round drew to a close, Harry would arrive and ask me for the score sheets so he could write his newspaper and news agency reports. He would then sit down and get busy playing through the games on his leather wallet chess set, while we chatted about the day’s play and other chess-related topics. Also during the London tournament I met András Adorján who impressed everyone with his imaginative play – not least with the black pieces, despite his loss to Jan Timman. Soon he was to become famous for his slogan Black is OK! – followed by Black is Still OK! and Black is OK Forever! 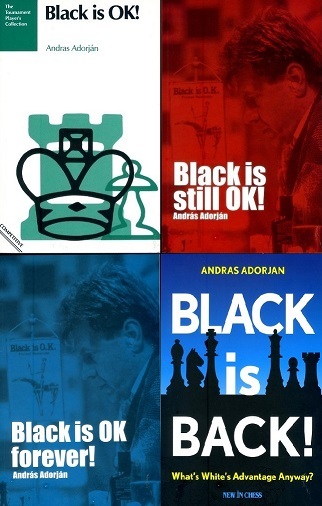 and now his latest book Black is Black!, all written in the name of exciting chess. He is a truly independent thinker and, just like Breyer, does not seek equality with the black pieces – but counterattack! I remember asking him during the tournament if he would annotate one particularly mind-boggling encounter for the bulletin and he replied: ‘It would take me seven days and thirty sheets of paper to analyse that game!’ Of course this was in the days that players did their own analysis. . . Here is just one of his striking opening ideas that is still being subjected to deep analysis today. The original form of the ‘Adorján Gambit’ was 3…e5, a sort of Budapest Defence Deferred, which was introduced at top level by Peter Leko – formerly trained by András Adorján himself! 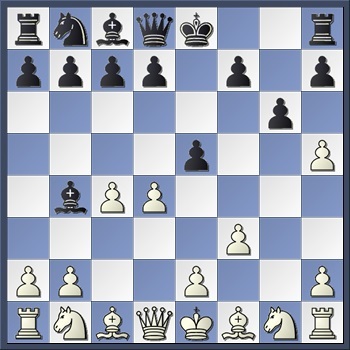 Leko’s game against Kramnik at Tilburg 1998 continued 4 dxe5 Nh5 5 Nh3 Nc6 6 Bg5 Be7 7 Bxe7 Qxe7 8 Nc3 Qxe5 and he eventually won the game. However subsequent analysis suggested that White actually stood better here and so the text was recommended as an improvement. Now, of course, there are a number of continuations, but let’s just take one sensational line where Adorján’s ingenious opening is on fire from the very first moves, making it so reminiscent of Breyer’s approach to chess. After …P-K4 White’s game is in the last throes!! Assisted suicide, but resulting in a spectacular finish. However even after the better 5 Nh3 Bb4+ (6 Bd2 Nf4!) 7 Nc3 Qh4+ Black is OK! 7 Nf2 exd4 8 Qxd4 0-0 9 Bh6 Re8 10 Qd2 (unpinning and trying to trap the black queen) Bc5! 11 Ncd1 Nc6 12 Bg5 (if 12 gxh5 Nd4 13 Qd3 d5 intending 14…Bf5) Ne5! 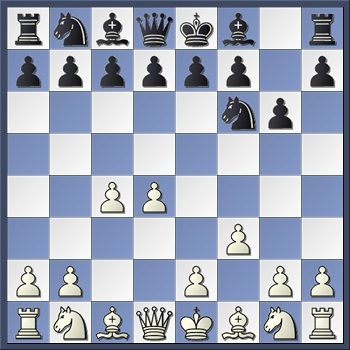 Threatening 13…Nxf3 mate! 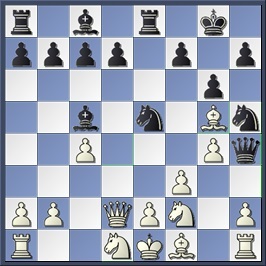 Now 13 Bg2 can be met by 13…Bxf2+ 14 Nxf2 Nd3+ 15 Qxd3 Qxg5 and Black is still OK! 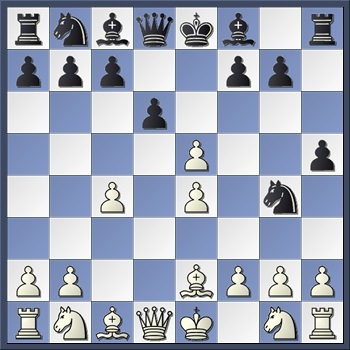 After 5…Qh4+ 6 Kd2 Qxd4+ 7 Kc2 Qxc4+ 8 Nc3 favours White. 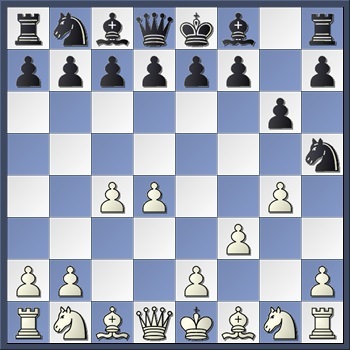 If 6 Bd2 then 6…Qh4 mate; while 6 Nc3 Qh4+ 7 Kd2 exd4. Not fancying 7 Ke3 d6 8 dxe5 Bf5 with at least a perpetual and plenty of ways for White to go wrong. Threatening 8…Qf2+ 9 Kh3 d6 mate. After 8 Nh3 d6 9 Rg1 Bxh3+ 10 Kh1 Bf2 Black is OK forever! In order to meet 9…Rg8+ with 10 N or Bg5, but . . .
11 Kg2 Rg8+ 12 Bg5 Rxg5 mate Black is back! Now back to Harry Golombek, who was a most engaging story-teller and also a very original writer. He even wrote a manuscript on his top secret wartime experiences at Bletchley, where he was part of the famous Enigma code-breaking team with Alan Turing, Hugh Alexander, Stuart Milner Barry, etc., but as far as I know British Intelligence never released it, as it came under the category of ‘classified information’. I had learned a lot from Harry’s books when I started out in chess and even at this time I used to cut out his well-crafted chess columns every Saturday from The Times and try to keep them in some kind of order by years, together with those I collected by Leonard Barden in the Guardian. Harry was one of the very few later writers to express their appreciation of Breyer in print. Returning to Ed. Winter’s complaint, having produced close to 900 pages on Breyer, I don’t think I can be justly accused of ‘denying the reader complete information’. This is not a thesis being submitted for marking by a university examiner, it is a chess book. As an author, I am under no obligation to help someone who wants to ‘check information independently’ from my book, especially if their objective is to pick holes in it and publish their findings on the internet. 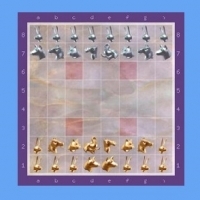 In the case of chesshistory.com that would even be tantamount to cutting my own throat! I have presented all valid information I have found on Breyer, but any matters relating to further investigations are the responsibility of the prospective researcher, not me. In one of the Golombek quotes, on page 385, ‘Tal’ has become ‘Szucs’, a typographical fault throughout the book. This ‘typographical fault’ was introduced on the eve of the final deadline, after the book had already been proofread. Raymond Keene was the first to point it out to me and he subsequently mentioned this ‘computer glitch’ in his ‘Magnum Opus’ review of the book in the Spectator, 19 August 2017. 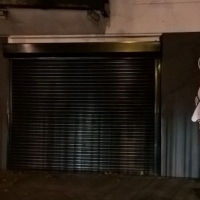 Nobody could explain how this had happened, so I put it down to the paranormal – a spirit had got on the New in Chess computer and performed a ‘find and replace’ operation – Tal to Szucs! (More on this relevant Breyer-related Latin phrase later). Not too long ago I wrote an article for Kingpin on the late Ron Harman, which included memories of the Bayswater Chess Club in the 1970s. This rendezvous was everything I imagined how those old-time chess coffee houses used to be in Breyer’s day – open all hours with a cosmopolitan membership and no shortage of banter to heat up the atmosphere. Anyway, among the clientele were two colourful Hungarian regulars, the leather-jacketed easy rider Laszlo Kiss, who I mentioned in my Ron Harman article, and the elegantly dressed, cigar-smoking Ernie Szucs. Ernie (Anglicised from the Hungarian Ernő) was a pretty good player and also pretty good at keeping his grading below what was then BCF 170, so he could win ‘intermediate’ tournaments one after the other. 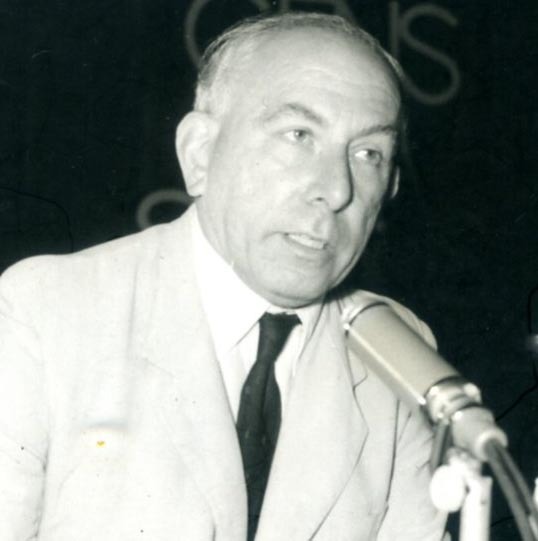 He came across as a man of distinction and would have been proud that his Hungarian ‘colleague’, Gyula Breyer, had been honoured by a chess biography and would also undoubtedly have wanted a slice of the action himself. 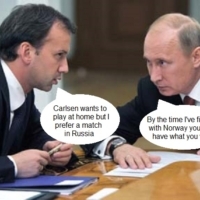 Well, he got that alright, making a high profile and well-publicised appearance by substituting his name for that of the great Mikhail Tal in the selfsame book! 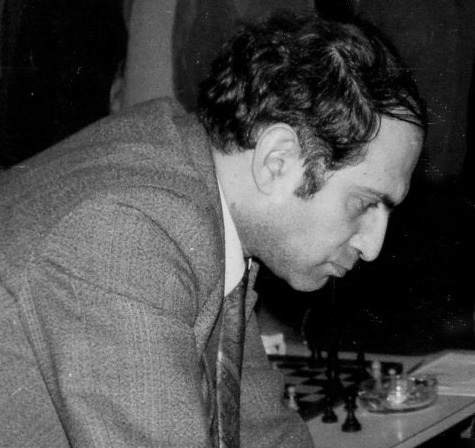 The great Mikhail Tal was substituted! But where are you, Laszlo? Oh, I just remembered, in the book there is an amazing eighteen-line love letter that Breyer wrote in Hungarian in the form of a palindrome; I must take a second look at it, as maybe the name Laszlo Kiss(!) is embedded there somewhere. . .
By the way, the ‘throughout the book’ phrase that Ed. Winter uses is a monster exaggeration, as the name of ‘Tal’ has in fact only been replaced twice in the book, although there is also one extra instance where the word ‘total’ becomes ‘to Szucs’! 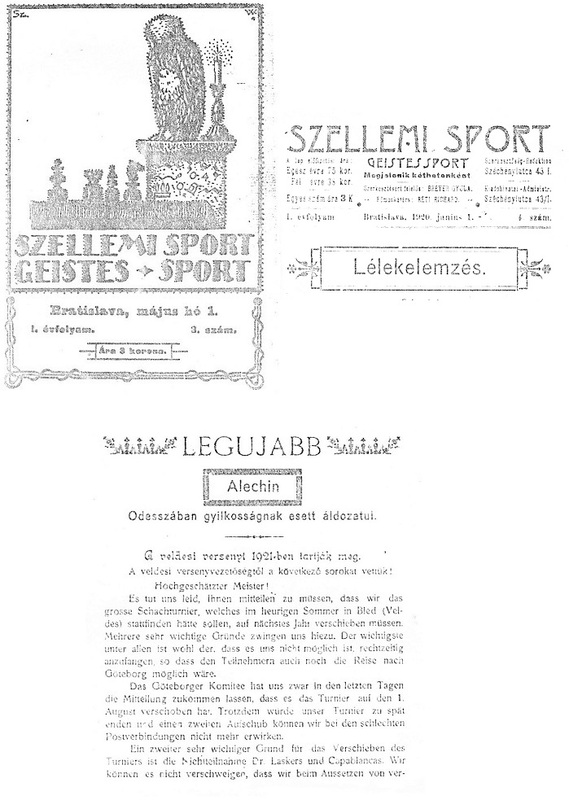 Then in the index, Tal’s name has disappeared completely and three extra page references have been attached to another Szucs, an opponent in one of Breyer’s blindfold simuls. Well, I guess if ten or even twenty words are wrong in a 250,000 word book, that’s still pretty good going. And now . . . the next complaint please! Citation of material from C.N., where there is any, is erratic and inconsistent. Not so, the last words should read ‘is principled and consistent’. I made only two citations from C.N. as I had already obtained all other relevant material on that website from first-hand sources in the early 80s. I rejected any remaining Breyer information on chesshistory.com because it lacked credibility or had little value. Examples of such unreliable or unworthy material will be given in the next installment. For instance, a small piece of information about Breyer’s address is credited on page 351 to ‘chesshistory.com’ (with a mention too of our own source), but that is an exception. 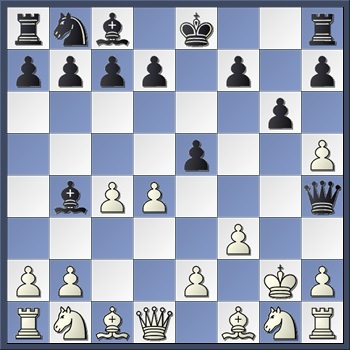 The address was new to me because I hadn’t come across Ranneforth’s Schach-Kalender before. 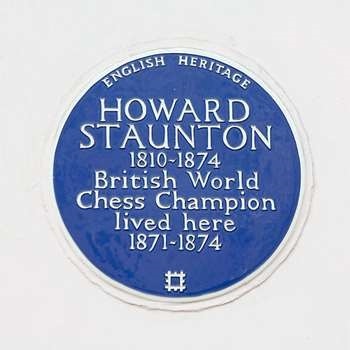 I was attracted to this item because it suggested the nice idea of getting a plaque placed on the wall of Breyer’s former home in Budapest, as the Staunton Society had done for Howard Staunton’s residence in West London, which, incidentally, is only a short walk from the site of the former Bayswater Chess Club. Furthermore, contrary to what Ed. Winter says, I should point out that the credit I gave concerning Breyer’s address is not an ‘exception’. 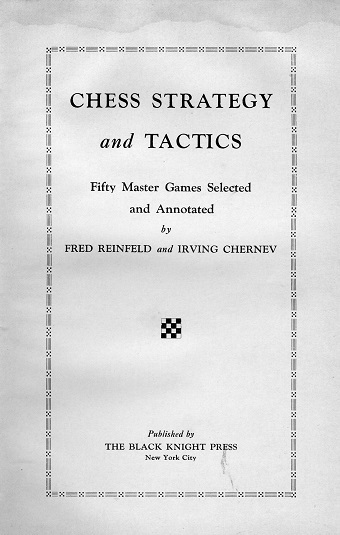 I also acknowledge the website in connection with its statement that the first use of the term ‘zwischenzug’ may be found in the annotation by Fred Reinfeld and Irving Chernev to a classic Euwe v Breyer game, in their book Chess Strategy and Tactics, published in 1933 and which is included in my book. These two famous American authors helped to keep Breyer’s name alive while others had forgotten him. The concluding pages acknowledge our website twice: there is a generous description on pages 872-873, and on page 876 ‘chesshistory.com’ is the only website mentioned in the ‘Quoted sources’ section. Such references are appreciated, but they do not steer readers to the exact location of specific information. I do indeed express my appreciation for the chesshistory.com website. I don’t look at it as much as I should, because I am not a big-time internet user, but I especially like the wonderful array of historical photos. And, yes, it was the only website from which I took any Breyer material, as I preferred to use original books, magazines and newspapers as a basis for my research and wanted to give readers plenty of reading matter they could not get elsewhere, not even on the internet. However, I never had any intention to ‘steer readers’ to other locations, I just wanted them to enjoy every single page of my book. But if there were readers who wanted to seek further ‘specific information’ on the internet, whether on chesshistory.com or elsewhere, of course they could do this in seconds by using Google. 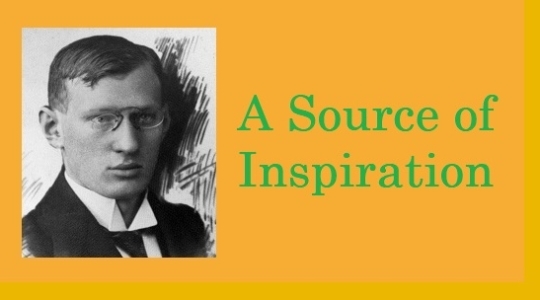 Sometimes, out of the blue, a more rigorous approach to sources is adopted by the book, and particularly when exact dates are given for Breyer’s own articles – a highlight of the book – from Hungarian publications. As far as I was concerned, there never was any question of ‘sources’ being ‘more rigorous’ or coming ‘out of the blue’. I adopted a systematic policy of dating Breyer’s own articles so as to present the evolutionary process of his chess thinking in a chronological order and in the context of concurrent chess or non-chess events. I did not date game annotations because for the most part these were contemporaneous to the game in question, so did not consider this necessary as dates of chess tournaments and matches were routinely given. Obituaries and tributes were also dated because these were written not only when Breyer passed away in 1921, but also on subsequent anniversaries of his death in 1931, 1951, 1961 and 1971, as well as on the occasion of his reburial in Budapest in 1987. Hungary respects its heroes! 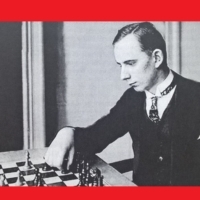 The chapter on Breyer’s chess compositions, at times very complex, was researched and dated in customary fashion by Iván Bottlik, then translated into English by Zoltán Laborczi, a specialist in chess problems, in conjunction with David Durham. 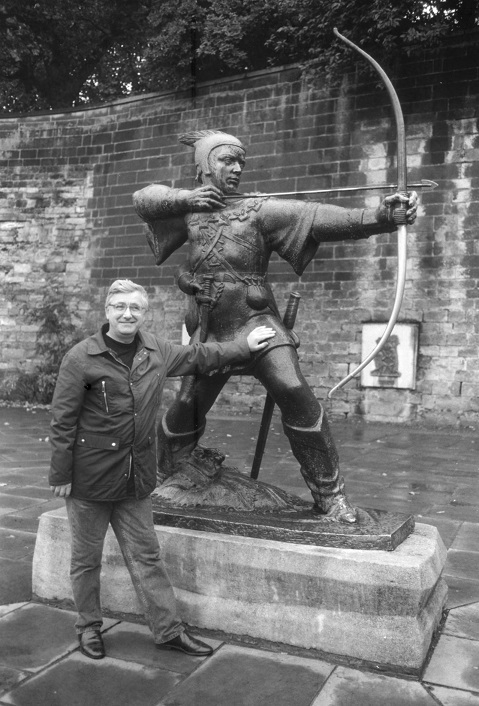 Years ago I had a hand in producing The Problemist magazine and it was its editor, John Rice, who put me in touch with Zoltán, who subsequently played a very important role in carrying out further translations after my friend and team captain at the venerable Metropolitan Chess Club in the City of London, Peter Szabó, passed away in 2009. No doubt I have missed a very small number of dates for Breyer articles, but overall I think the material is accurately placed in its correct sequence. Ed. Winter refers to ‘a highlight’, but for me the whole book is full of highlights. There can be few chess players whose creative work in playing and writing about chess makes such an unceasing impact, page after page after page. By the way, Ed. 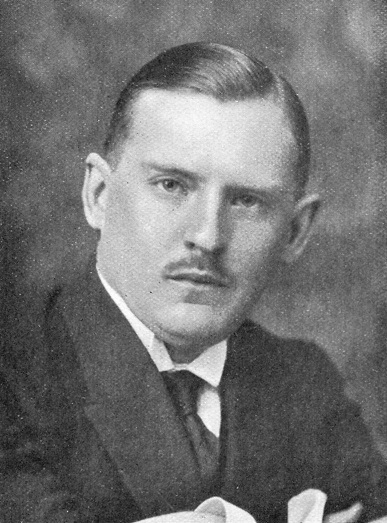 Winter only commends Breyer’s articles in ‘Hungarian publications’, omitting to mention that he wrote in Szellemi Sport, which was published in Bratislava, Slovakia, and that he also produced fifty exceptionally well-written, witty and varied columns in the Austrian left-wing newspaper Bécsi Magyar Újság, published in Vienna, all of which are in the book. Nobody else wrote like Breyer! No date for the New York Times article is given by Adams, but there is a source at the bottom of page 797. 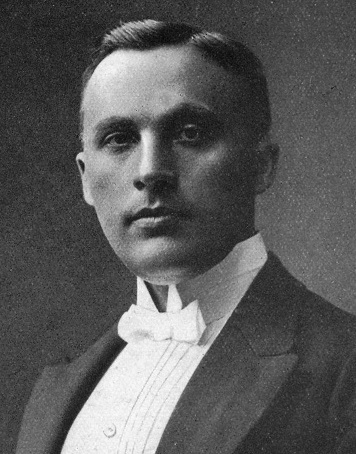 A link, perhaps, to the on-line version of Alekhine’s article at the New York Times website? No. A link, perhaps, to Alekhine on Carlsbad, 1929, which has the full text, and the exact source (New York Times, 1 August 1929, pages 21 and 23)? No. A reference, perhaps, to C.N. 1274, which, over 30 years ago, gave Alekhine’s full text (also with the complete source)? No. This kind of information can be obtained by Google Search. When Ed. Winter mentions ‘the full text’ a couple of times, this is because I ‘edited’ out a few lines at the start about the organisation and history of the Carlsbad tournament, which were unrelated to the main topic under discussion concerning the clash of two quite different schools of thought in chess. Otherwise ‘the full text’ is in the Breyer book. What are readers supposed to do with that? They are not supposed to do anything with that. 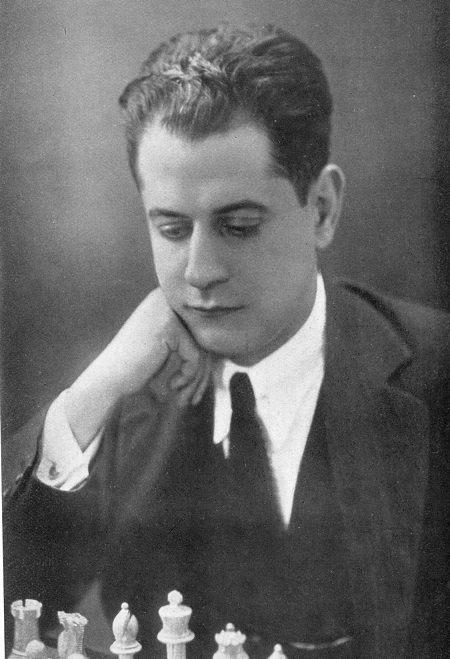 If they start wading through the 17 volumes of the Quarterly they will eventually find Alekhine’s article, on pages 161-163 of the 7/2001 issue, but it has the usual plethora of Olomouc typos (‘Maw Euwe’, ‘Capablanca, who reared [feared] that theory’, ‘The bent for crating [creating]’, etc.). They don’t have to wade through anything and there are no spelling mistakes in Alekhine’s article, the way it is presented in the Breyer book, so I don’t know why Ed. Winter is wasting so much space on such irrelevancies. 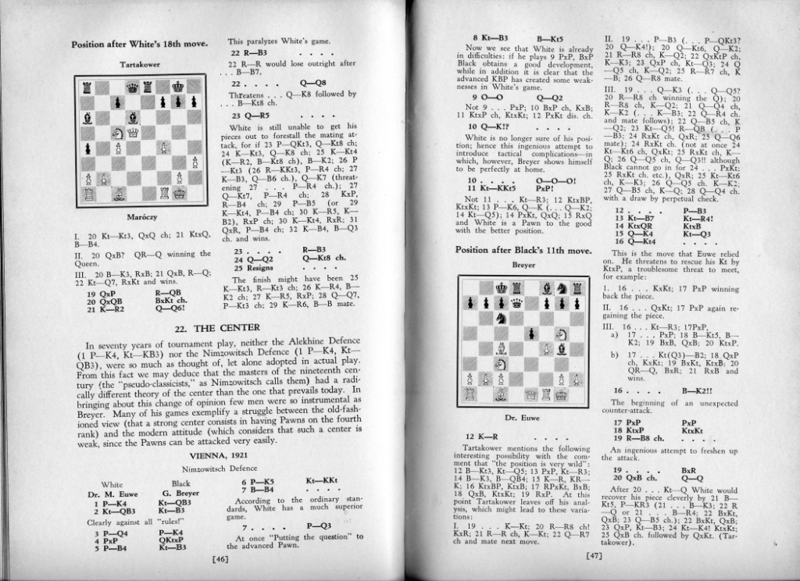 Such evident mistranscriptions have been corrected in the Adams book, but why even consider using the Quarterly for Chess History in the first place? Why use it in the first place? 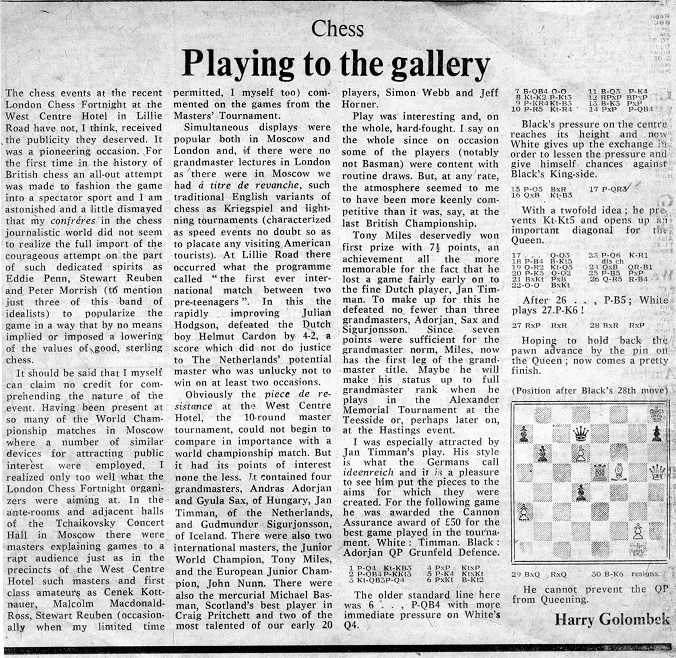 Well, Tony Gillam, who has produced more historical chess books than anyone else in the world and who is a contributor to Quarterly for Chess History, sent me a photocopy of the Alekhine article many years ago. It was not something that I would naturally pick up when researching for the book, as there was no obvious connection between Breyer and the Carlsbad tournament, played in 1929, eight years after he had died. So there was nothing ‘astounding’ about my using the Quarterly. A small example of what will inevitably go wrong concerns a comment made by Alekhine after he referred to Breyer and Réti. For ‘inevitably go wrong’, read ‘fortunately be put right’. What Alekhine originally wrote does not make sense, so something had to be changed. Therefore, in this ‘Gordian Knot’ situation, I simply chose to cut ‘the present Carlsbad tournament’ rather than attempt to ‘make sense’ of it with a rewrite. If I had been using the other version I would have cut ‘in the present Carlsbad tournament’, with exactly the same result. 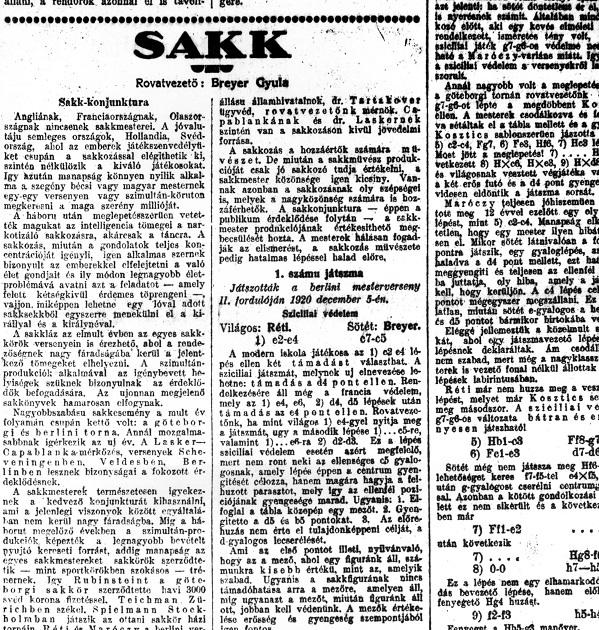 The whole article by Alekhine is devoted to the Carlsbad tournament so the deleted words are superfluous, as well as interfering with the comprehension of the sentence. The cut version is perfectly intelligible. Personally, I think Ed. Winter should enter this complaint for the World Pedantry Championships, where it would be a serious contender for the title. 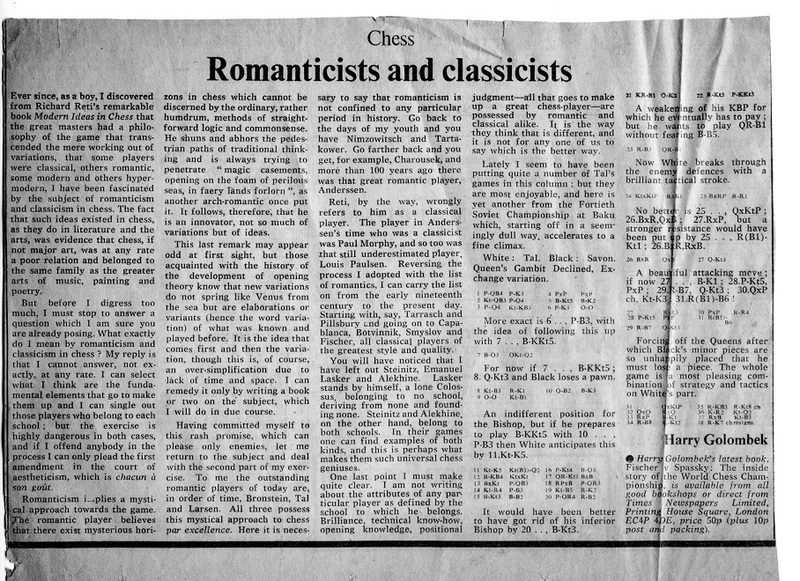 Interestingly, Harry Golombek attempted to define ‘Romanticism’ in chess in one of his Times columns. In the book there is a chapter ‘How Breyer influenced Reti’ but here is an example of ‘How Breyer influenced Alekhine’. 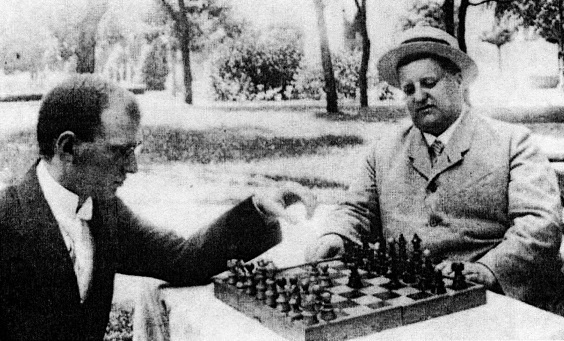 In the following game Alekhine tries to make a real gambit out of the Budapest Defence, but his opponent declines the offer – at his peril! 1 d4 Nf6 2 c4 e5 3 dxe5 Ng4 4 e4! 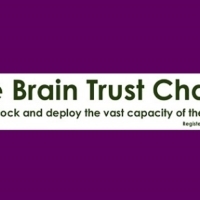 ‘Considered with reason as the most effective treatment of this very controversial variation. White gives back the gambit pawn, however, in return he keeps control of the strong outpost on d5. That may be true, but the next opening moves must be made in a very precise order, since otherwise Black will eventually succeed in mounting an attack on the white pawn formation in the centre’ is Alekhine’s comment. 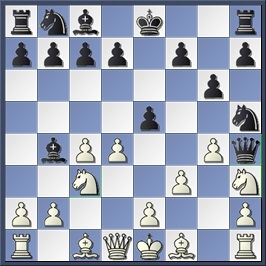 Well, the text move may be living proof of Capa’s view as it is a rather risky gambit but one which the English amateur dare not accept against an attacking player of Alekhine’s calibre. True, Gerald Reid had every reason to fear the vulnerability of his f2 and h2 squares. 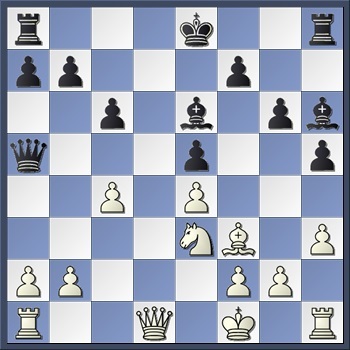 Usual is 4…Nxe5 5 f4 when there are two wins by Alekhine against both 5…Nec6 (v Seitz, Hastings 1925/26) and 5…Ng6 (v Rabinovich, Baden Baden 1925) in his Best Games collection. This was the last chance to take the pawn. White is strategically and tactically lost. 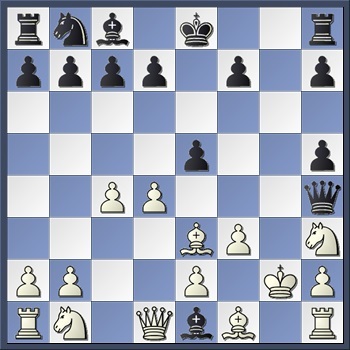 In the game he gave up the c4 pawn after 16 Qe1 Qxe1+ 17 Kxe1 Bxe3 18 fxe3 Bxc4 but had no chance of survival. Incidentally, Gerald Reid (far right) was the principal organiser of the annual Scarborough Congresses, which were held annually during the second half of the 1920s over the Whitsun holiday period. In 1926 he bravely took part in the Premier tournament himself, after a number of invited players did not arrive for play due to travel difficulties resulting from the General Strike of that year. Gyula Breyer and István Abonyi analysing their newly invented Budapest Defence – proposed by Barász, promoted by Abonyi and practised by Breyer! 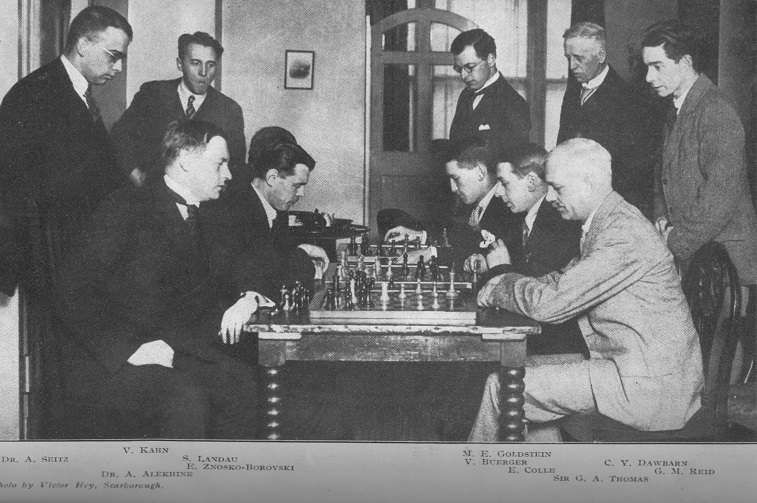 Breyer was the first player to adopt the Budapest Defence in serious competitive play and in the book there is a very detailed article on the initial development of this opening, researched by Iván Bottlik and Gábor Gyuricza, which originally appeared in Lászlo Jacóbetz’s A Short History of Chess in Budapest. That is all: the bare name Shakhmaty. In fact this has got nothing to do with sourcing or semi-sourcing. The ‘Results . 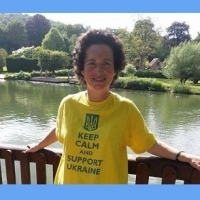 . . Bogoljubow’ text is simply the heading to the article as it appeared in Shakhmaty. Attention all researchers! 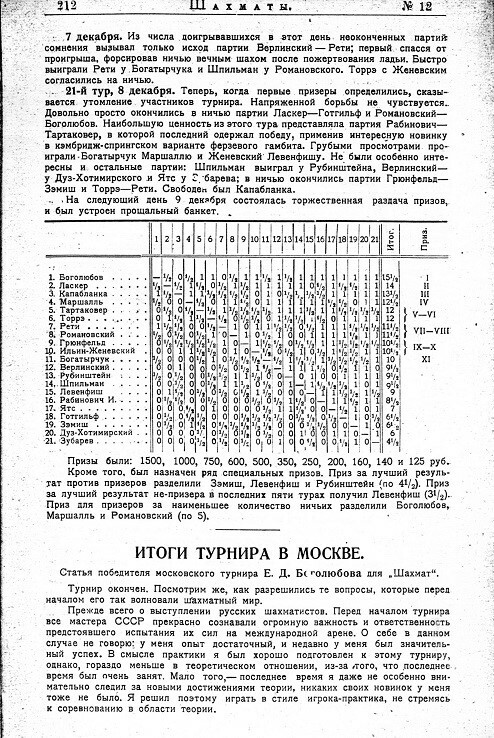 Though the tournament finished in December, the original Russian version of Bogoljubow’s article is to be found in issue No.12 of Shakhmaty. The magazine had a reputation for coming out late every month! 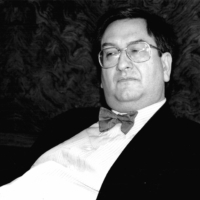 My wild guess for why Tal was turned into Szucs: confusion with Tad Szulc, an American journalist and Castro biographer.